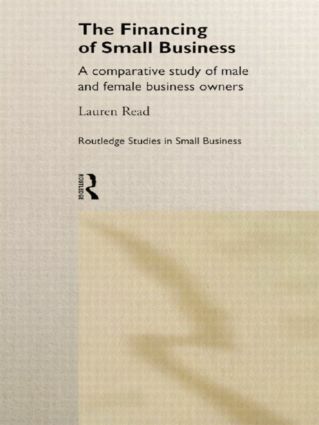 A detailed empirical study of how small business owners finance their enterprises, this volume compares the experiences of women with those of men. The author redresses an over-reliance on subjective and anecdotal evidence of discrimination in this area with a controlled study of forty matched pairs of male/female owners and their strategies for raising finances. The research reveals the importance of adopting a theoretical framework in which the role of gender in the financing of small businesses is considered, and the practical implications for female entrepreneurs, banks and policy-makers. There is a growing polarization in the international economy for companies to become either transnational corporations or small businesses. This dualism means the experience of the small business is quite different to that of a large corporation. The life of a small business is often shorter, riskier and more entwined with the personality of the entrepreneur. In this prestigious series, case-studies and the latest research are used to reveal the regional, national and international role of the small business.